Q: Hey, Ward. How can I dress nicely in the dead of summer? My blazers are too heavy and hot for me to be wearing on the way to and from work. A: I have the same problem. I like to dress professionally, even in the middle of July. Fortunately, there are options these days. Linen is your friend, and it isn’t all white suits from Miami Vice out there. 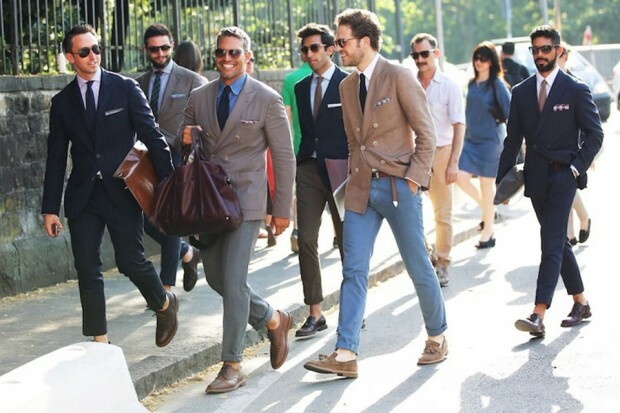 A navy blue linen blazer over a white pair of trousers will make you stand out while also keeping you cool. A black linen suit with a crisp white shirt looks great all day at the office and even better at the bar that night. Linen doesn’t have to look too wrinkled or like you just walked off the beach anymore. Seek out some of the more refined linen suits and blazers out there and you’ll be ready for any summer occasion. While you’re at it, don’t be afraid of seersucker. You don’t have to dress like Colonel Sanders. A pair of lightweight dark navy jeans will make a seersucker blazer stand out during patio weather.